My earliest memory of watching badminton was that defining match when Rashid Sidek beat Joko Suprianto to reach the semi finals of the Olympics in Atlanta. I was 11 and it made me want to pick up a badminton racquet which then turned out to be one of the sports I'd frequently play. Was I a pro? Not at all, but I could get in a couple of forehand smashes every now and then! Ask any Malaysian, and badminton will always have a soft sport in our hearts thanks to the men's doubles bronze medal won by Razif and Jalani Sidek back in '92. First Olympic medal ever for Malaysia. Also, we've had 4 world number ones since including one Dato Lee Chong Wei. You may have heard of him. He's only held the title ranking of World No 1 for more than a year, a triple silver Olympic medallist and basically a national hero. Fast forward a few years later and I've had the pleasure of covering various badminton tournaments on the job. Some of the highlights include the Legends Vision Exhibition and the Sudirman Cup 2017 in Gold Coast. One of the most anticipated badminton events locally is the Malaysia Masters, and it's going to get significantly bigger. I had the chance to witness the signing ceremony between Badminton Association of Malaysia (BAM) with Japan's car manufacturer Daihatsu Motor Corporation. This collaboration raises the status of the tournament from GP Gold to a Super Series level with an increased prize money from USD120,000 to USD350,000. To quote BAM President Datuk Seri Mohamed Norza Zakaria at the ceremony - "With the Malaysia Masters upgraded to Super Series, the level of competition and status of the tournament will also increase and feature at least 10 top players in the world". What that means to us fans, more exciting matches and possibly the chance to take a selfie with players like Viktor Axelsen and Son Wan-ho! Staging premier tournaments locally will also benefit our national players to thrive and inspire the next generation. Speaking of the next generation of players, the executive officer of Daihatsu Motor Co, Osamu Naruse is commited to support the development of badminton in Malaysia saying, "Daihatsu will continue to deepen its interaction with customers and local communities through sports thereby bring new optimism to their lives". 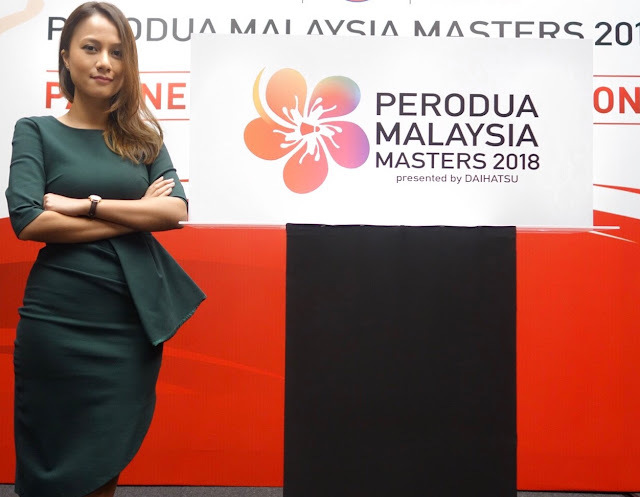 Mark your calendars as the Perodua Malaysia Masters 2018, presented by Daihatsu will take place at the Axiata Arena in Bukit Jalil from the 16th - 21st of January 2018. Can't wait!